Be the first to share your favorite memory, photo or story of Lola. This memorial page is dedicated for family, friends and future generations to celebrate the life of their loved one. Lola Jean Vicklund, 76, DuBois, passed away Friday, April 5, 2019 at the DuBois Nursing Home. Born December 10, 1942, she was the daughter of the late John and Elverta Hurd. 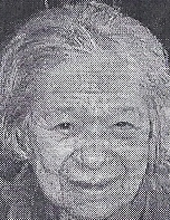 Lola was employed by the dietary department at the DuBois Nursing Home. She retired in 2008. Lola was a member of the Trinity Methodist Church. Lola is survived by her children, John (Anna) Vicklund, DuBois, Pam (Dale) Hollobaugh, DuBois, David Vicklund, DuBois, and Mike (Laura) Vicklund, Harrisburg; seven grandchildren; one great-grandchild; sisters, Donna Bouch, DuBois, Janet Burkis, Hilton, NY, and Nancy (Bob) Kriner, DuBois, as well as numerous nieces and nephews. In addition to her parents, Lola was preceded in death by her sister, Audrey George. All services were private and held at the family’s convenience. Arrangements are under the direction of Adamson Funeral Chapel, Inc.
To send flowers or a remembrance gift to the family of Lola Jean Vicklund, please visit our Tribute Store. "Email Address" would like to share the life celebration of Lola Jean Vicklund. Click on the "link" to go to share a favorite memory or leave a condolence message for the family.